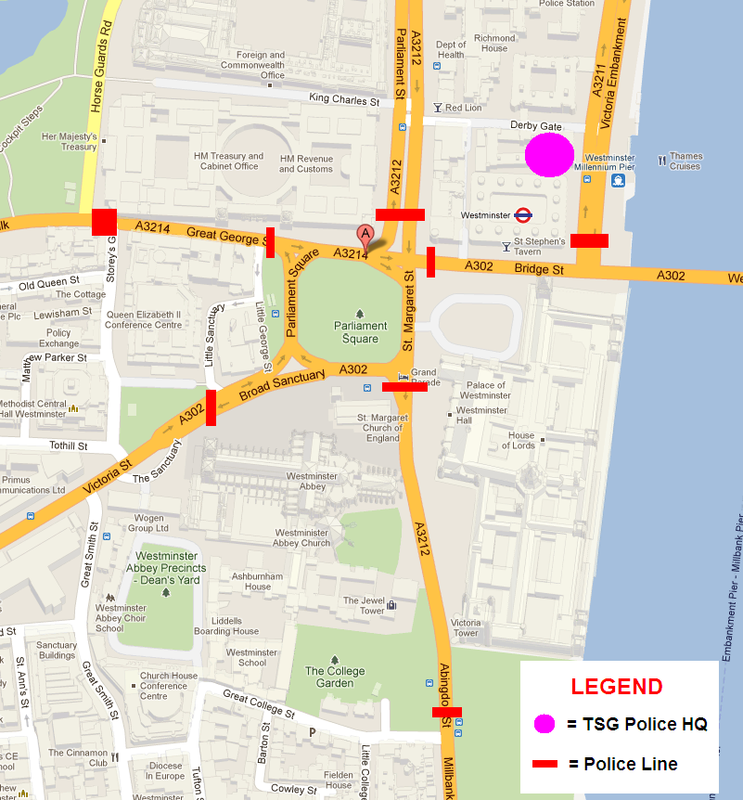 On November 5, 2011, the police stationed officers along various entrance roads leading into Parliament Square. Police lines were set up along Great George Street, Victoria Street, Abingdon Street, Bridge Street and Parliament Street. Protestors were prevented from marching from Trafalgar Square via Parliament Street and instead broke up into groups. Most of the group arrived at Great George Street via Horse Guards Road and were blocked from entering Parliament Square while another group went via Great Smith Street and made their way towards Parliament from Abingdon Street. 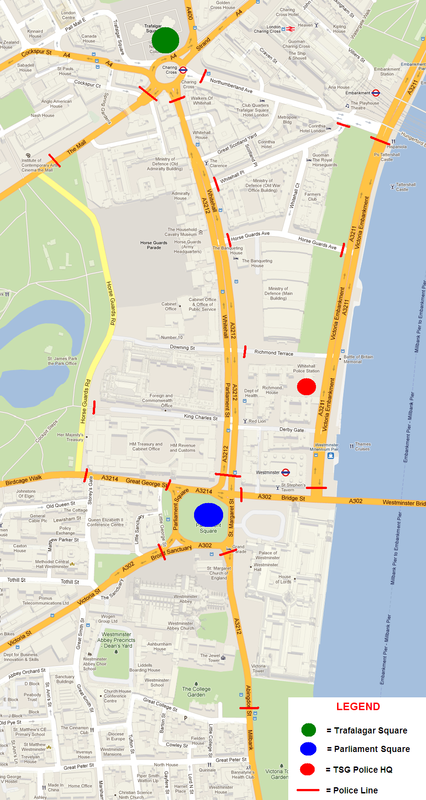 This map illustrates how the Police may attempt to block protestors from entering Parliament Square.